The cardi is stretchy smooth, and easy to throw over anything and everything! The faux suede and dark brown hue offer a classic look that you can wear for decades to come! 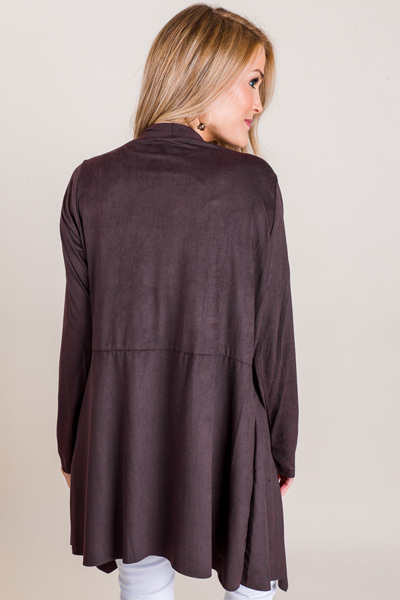 Jacket features and open, waterfall front with seam at the waist to nip it in ever so slightly. Oh, and did we mention it has pockets? !